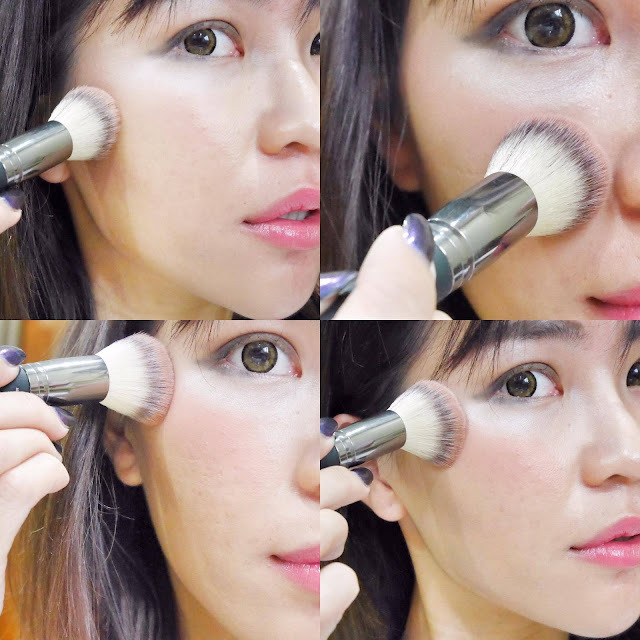 Makeup became a fun and ever-changing part of my daily routine now. Shower. Makeup. Hair. Outfit. Boom. Instant confidence. For me, Loving makeup does not make you insecure. Makeup is about highlighting your best qualities, not hiding your worst. Sure, it's great to conceal a pimple here or there, but makeup isn't about putting on a mask; it's about learning how to emphasize your favorite things about yourself. I used to have really bad skin condition last time. There is a time i had acne all over my face, super sensitive skin. Therefore, I'm extra selective and careful at the products that i put on my skin. It Cosmetics have really been killing it in the beauty market these days. It is just newly launch in Sephora.my and will be available on store this October! 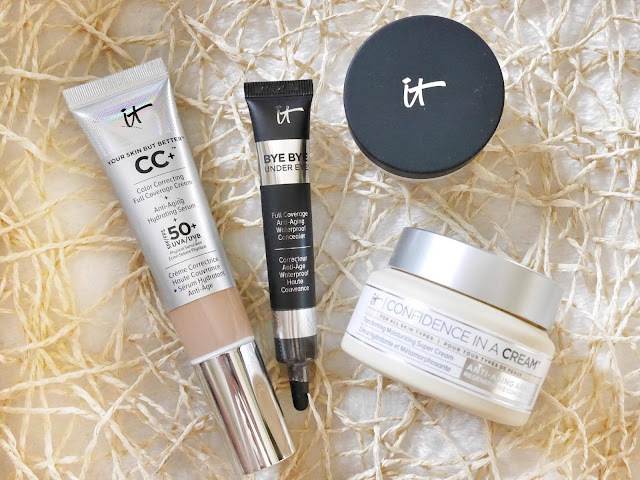 Their CC+ Cream with SPF 50+. 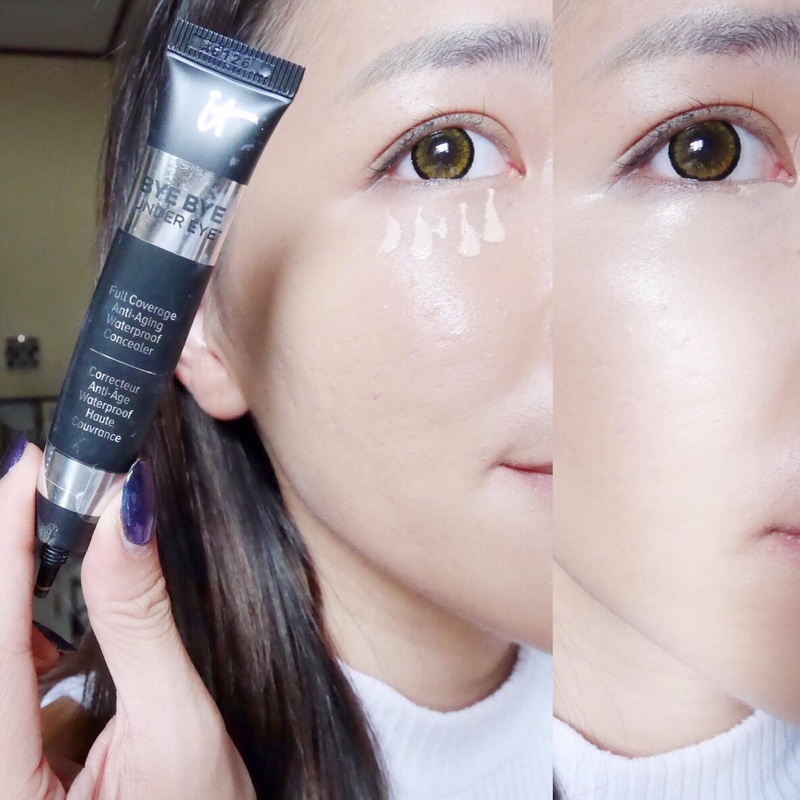 and the Bye Bye Under Eye® Concealer are fabulous, i always wanted to try and i finally got myself one! Great coverage and the SPF 50 means I don't have to worry about additional sunscreen. Well, IT Cosmetics claims that it is a full coverage color correcting cream with anti-aging formula and SPF50+ Physical broad spectrum with no chemicals involved in the sunscreen. The cream has been developed under the supervision of leading plastic surgeons and it is absolutely free from Paraben. 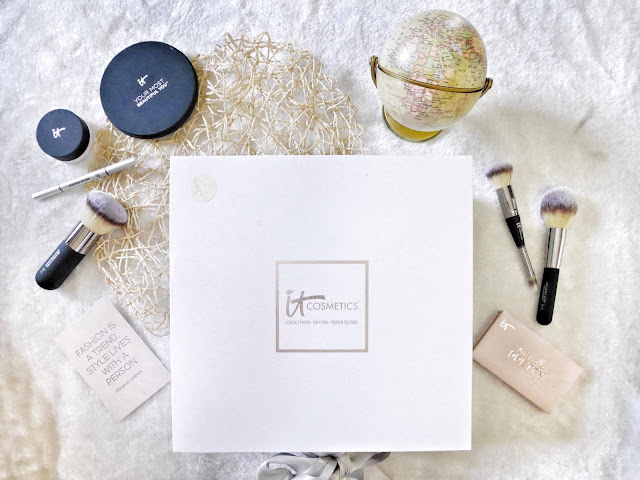 The cream features a cutting edge anti-aging technology that enhances the overall texture of skin and brightens it with color correcting formula that maintains skin hydration up to 79%. 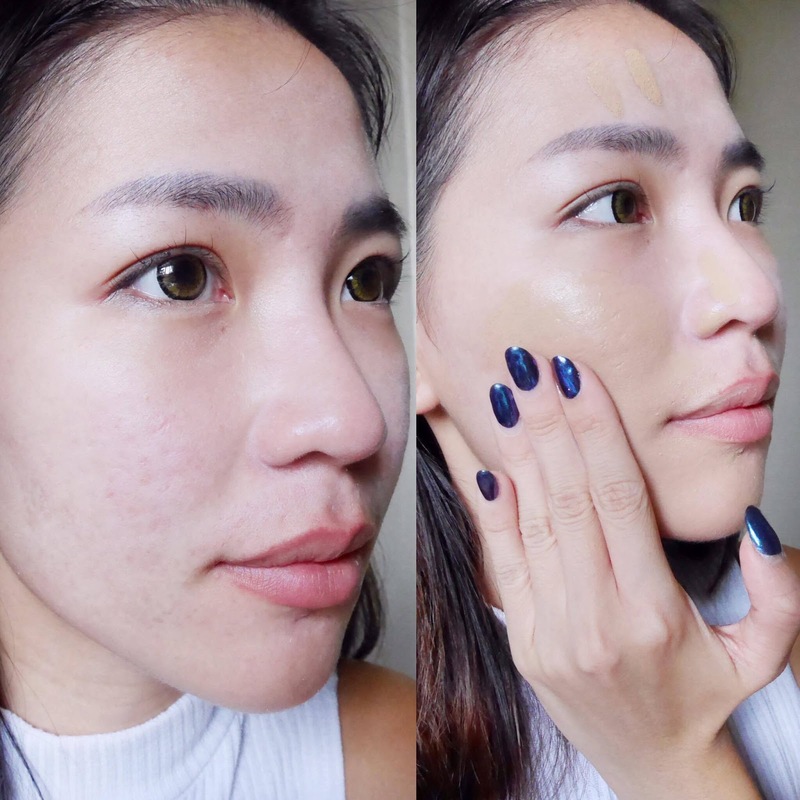 This cream only offers five shades: Fair, Light, Medium, Tan, and Rich. I'm using the Tan because i got really tanned after my Indonesia trip earlier. Trying to match my face colour with my body. Surprisingly, coverage is great. Color match was good too! 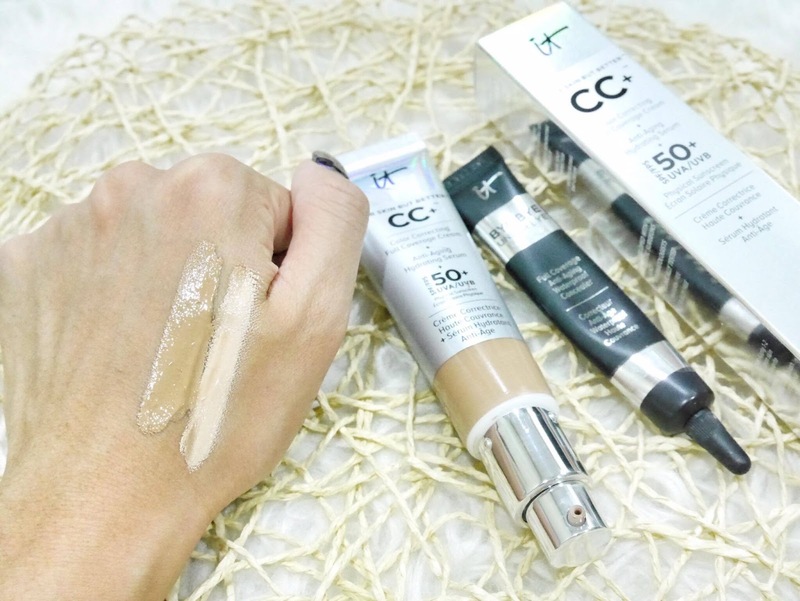 The texture of this cc cream is quite thick and you can comfortably get the required amount with one or two pumps. Then you can apply it on your face evenly. I’m actually pretty impressed with this CC cream i must say! 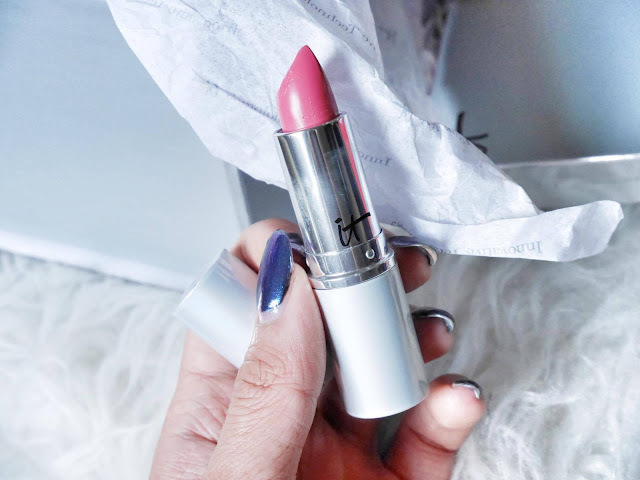 It gives good coverage with a natural finish, is a good balance of matte-dewy finish, doesn’t get patchy nor oxidise and stays on for a pretty long time. Love it! Next, cover the annoying dark eye circle. This is an award-winning Anti-Aging, full coverage treatment concealer that delivers highly pigmented natural-looking perfect coverage. Bye Bye Under Eye® uses Anti-Aging technology to help treat the appearance of lines, wrinkles and discoloration, conceal dark circles, age spots and redness, conceal facial imperfections without settling into lines and wrinkles; and helps to diffuse the appearance of wrinkles instantly. Just a tiny pump will do because it is very thick and doesn't smudge or run off even in the middle of a sweaty workout! LOVE IT! Bye Bye Pores® Silk HD Anti-Aging Micro-Powder is infused with collagen, vitamin K and pure silk for a perfect, poreless, airbrushed finish. It absorbs oil and shine, and blurs away the look of pores, without settling into lines and wrinkles. It sets makeup and helps to diffuse the appearance of wrinkles and pores instantly. I personally prefer translucent powder for the finishing of the face because i don't want my make up to looks too heavy and cakey. And YES, it does the job. It keeps my face matte all day! 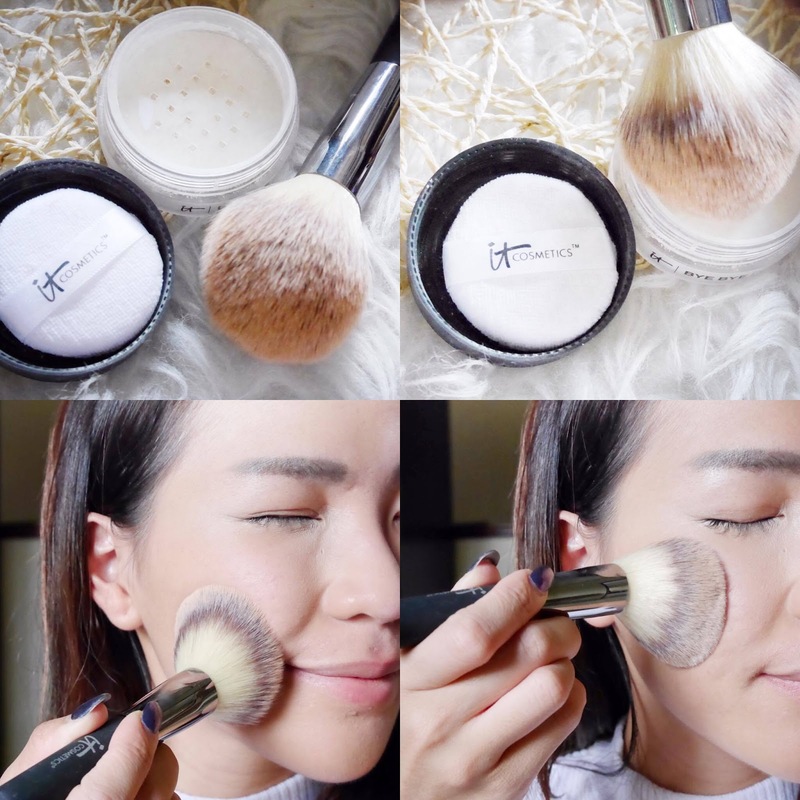 FYI, i'm using their Heavenly Luxe® Wand Ball Powder Brush for the finishing. 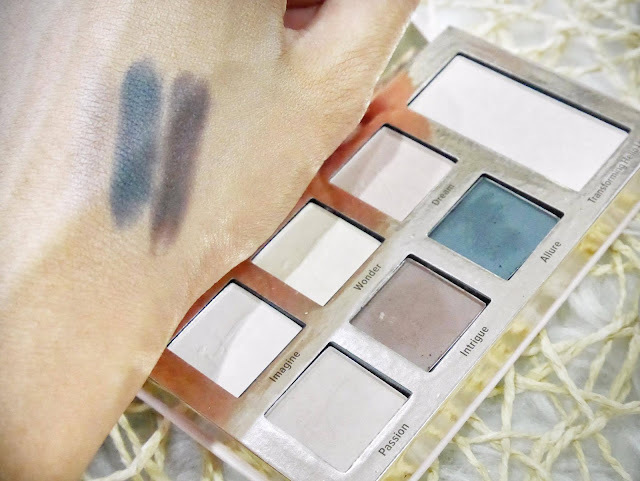 This Palette is perfect for traveling. 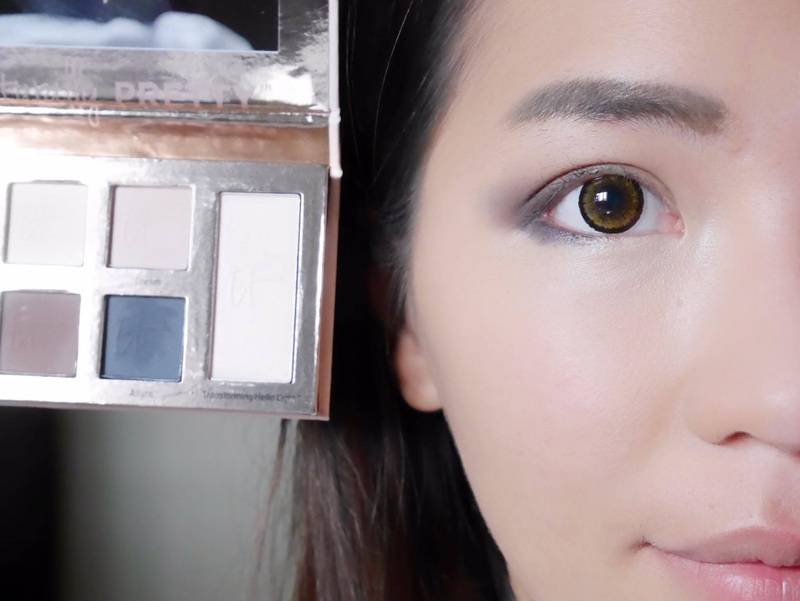 It is super light and comes with all the basic colours i need. I don't really use eye liner because i want a cleaner looks. Firstly, apply a light base colour on the eyelids. After that, i will use a dark shade to create a cut crease on my lids, so that i can see my double eyelids more obvious. Remember to get the Heavenly Luxe® No-Tug® Dual Eyeshadow Brush too. 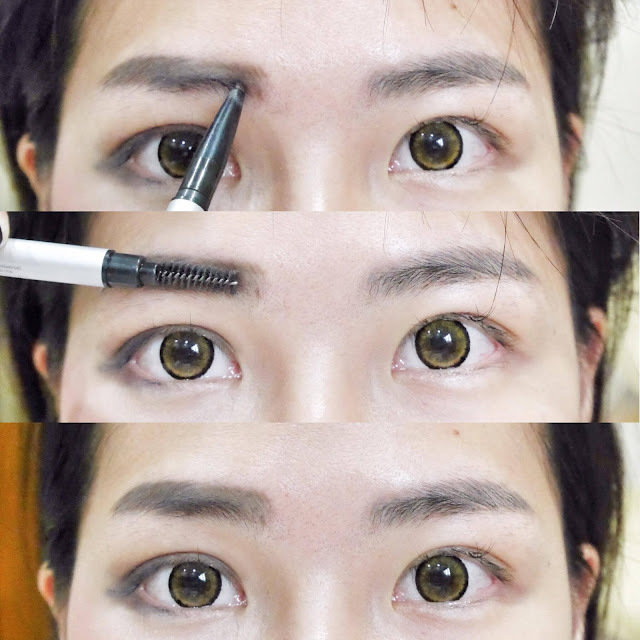 It is very useful for applying eyeshadow. I really like the softness, gentle feeling dual ended. 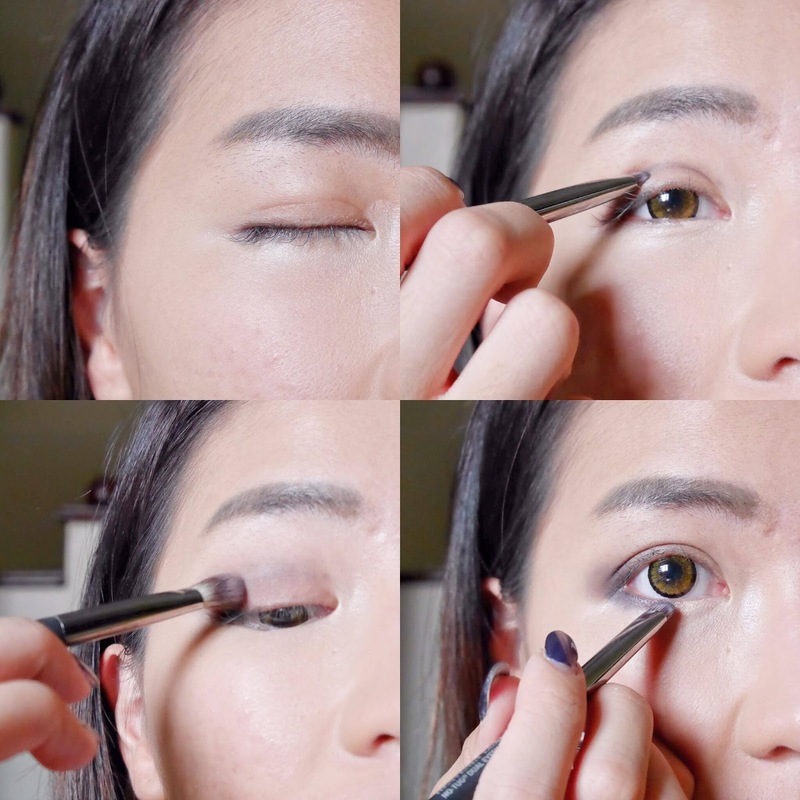 For the bottom eyes, use the tip of the brush to apply eyeshadow under the lower lash line, or to create a very defined line in the crease of the eye to create a bigger eyes look. That's all for my eyes make up tips without using an eye liner. 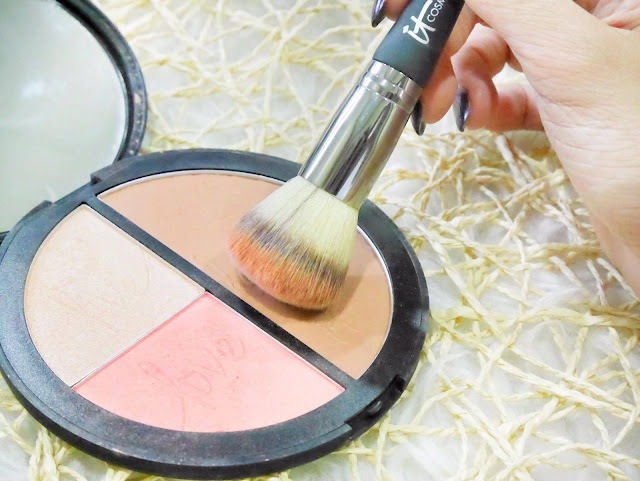 The matte bronzer warms your complexion, the radiance luminizer creates a lit-from-within glow, and the brightening blush restores your natural flush of color. 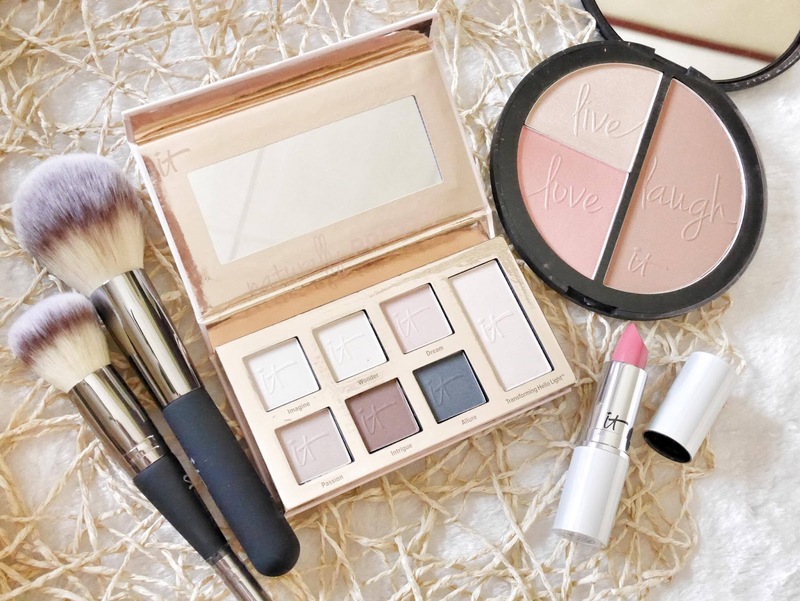 Most women would underestimate the effect of contouring and highlighting. Contouring is a way to enhance and even change your face structure with makeup. You will fall in love with it if you know how to play with it. Apply the bronzer at your lower cheeks bone and the blusher at the upper cheeks. Brow Power® matches all hair colors and covers gray perfectly. The oval shaped tip is perfect for both thin and thick brows. The spooley end brush gives a natural polished look! My lips were instantly transformed from dry and flaky to soft, plump, and pretty in pink! 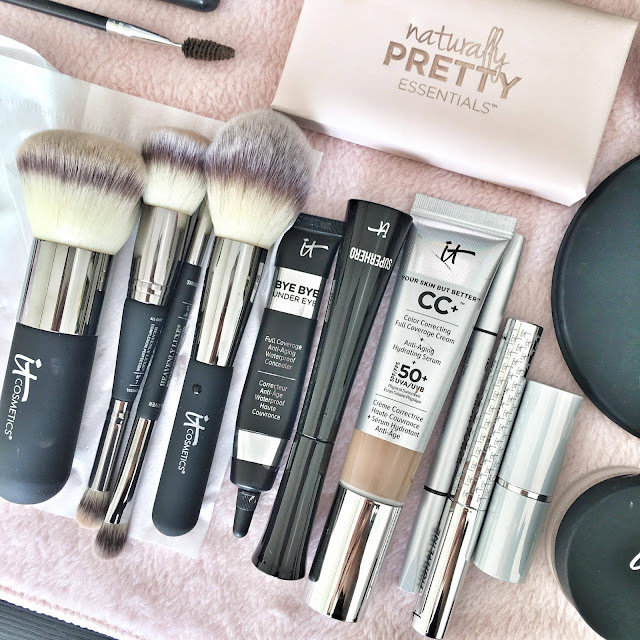 That's all for my Daily Make-Up Looks using the IT cosmestic. Hope you like it. Do comment down below and let me know if you want to know more about my make-up products and skin care routine. 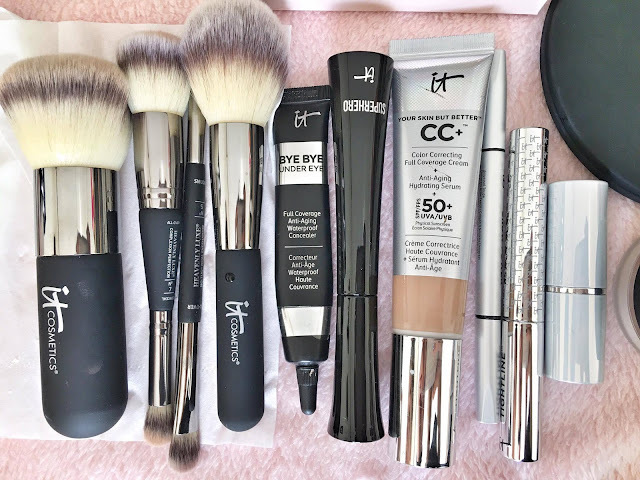 I love IT Cosmetics Bye Bye Pores from B-Glowing! 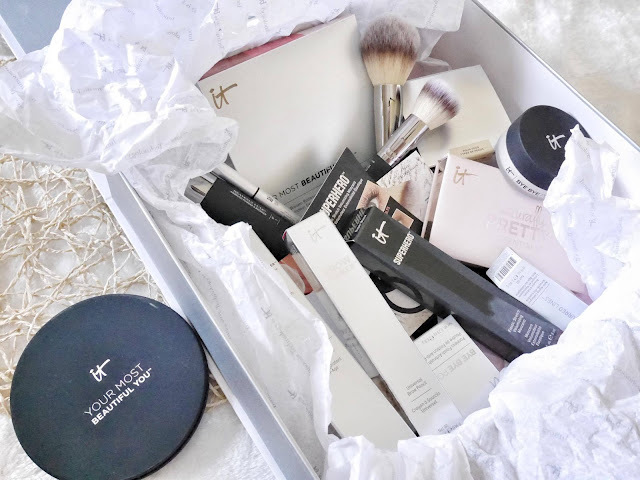 Those products all looked gorgeous on you! I am definitely looking for the lipstick and eyeshadow palette. I have their makeup brushes on my wish list! I love IT Cosmetics CC Cream.